Ten years may not look like much, but in "internet years" it feels almost like a lifetime. In a single decades digital empires rise and fall, and in Facebook's case, its 10th anniversary reveals a Facebook that is stronger than ever and is betting it can continue to be so for a very long time. People are (for the most part) intrinsically sociable. And the internet and social networks allowed that desire to reach far beyond what it would be physically possible. 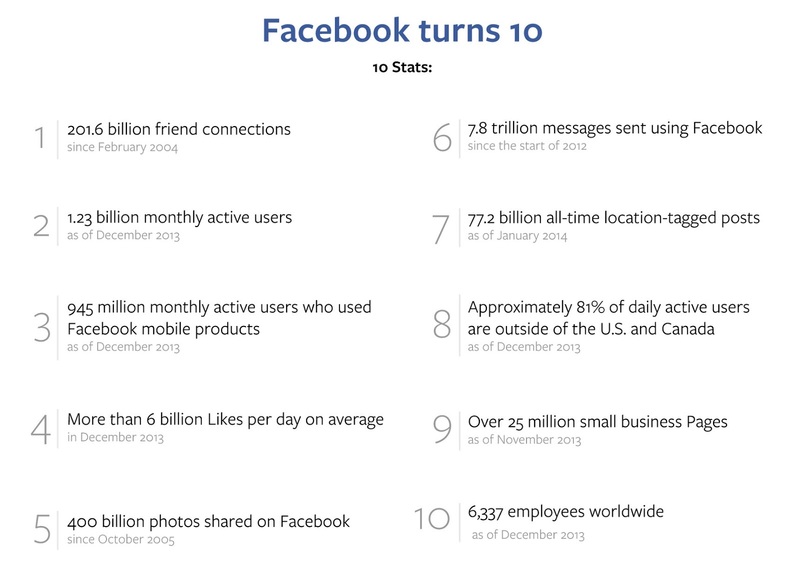 That helps explain the figures Facebook presents us with in this anniversary: over 200 billion friend connections, over 7.8 trillion messages, 1.23 billion monthly active users, 400 billion photos, more than 6 billion likes per day... and the list goes on. Well... I can't say I'm particularly sociable (in the digital realm), as I've joined Facebook rather late in the game, and with the sole purpose of trying to reconnect with some "lost" friends from my school and college years (unfortunately, I didn't find that many). Ever since, my FB usage has been slight at most (the only FB time I spend some time with is my main blog's page in FB Aberto até de Madrugada no Facebook even though most of the surrounding community still prefers to use out "old-fashioned" mailing list and others prefer to gather around Google+). After 10 years, one would be tempted to think Facebook is tired and can't keep up with the fast times we live in. But nothing could be further from the truth. 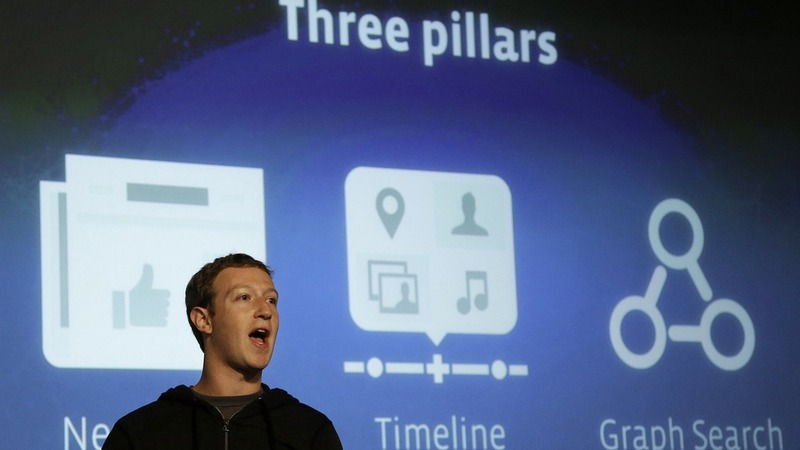 Facebook hasn't stopped, and is now betting big in the mobile arena - where most of its users already are. And to prove it, they've just launched their new Paper app for iOS. An app that is bound to become the future of Facebook, letting go of all the traditional interface elements that have been used since the times of keyboard and mouse devices, and instead relies on simple swipe gestures to put everything at the tip of our fingers. When you consider you can choose to open all Facebook notifications inside this new app, there's little doubt this is where FB sees itself heading. Sure, there are still some quirks to fix, and the other Paper app developers weren't fond to see FB use "their" app name; but today, the day is for celebration, and Facebook looks back and shares a short video for the occasion. If you're an avid Facebook user or fan (or otherwise) just how much did Facebook affected your life?